Muslims in Buddhist-majority Myanmar usually keep a low profile for fear of intimidation, but Win Lae Phyu Sin, one of the community’s rare bloggers on beauty care, has gone the other way. Muslims, who make up about 5 per cent of the nation of around 50 million, say they have not been able to open new mosques in decades and struggle to rent apartments from Buddhist landlords. Systematic persecution of Muslims is growing in Myanmar, rights groups say, though world attention has focussed on its stateless Rohingya Muslims, with the United Nations and aid groups saying more than 700,000 were driven into neighbouring Bangladesh after an army crackdown last year. “I saw her applying make-up while wearing the hijab and it’s amazingly beautiful,” said Hay Mann Aung, 20. 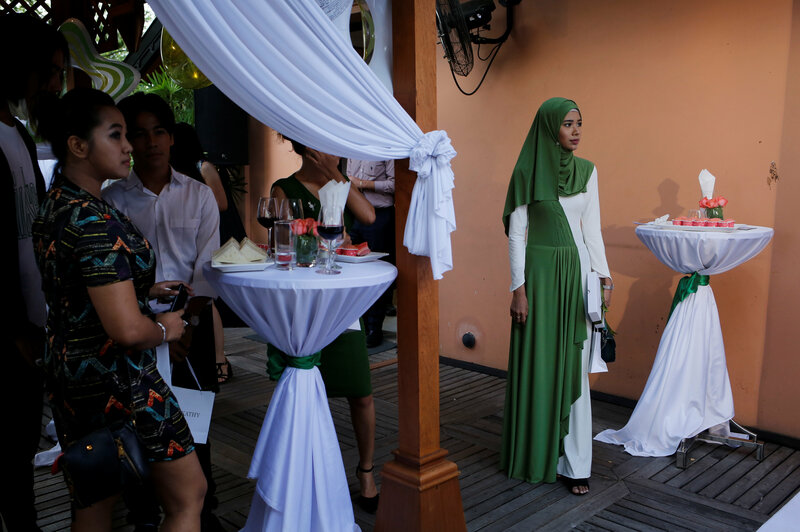 Win Lae Phyu Sin’s effort to impart a cool, chic vibe to the image of Myanmar Muslims, deploying stylish clothes that match her hijabs, elaborate mascara, and eyeshadow layered in bold colours, has drawn admirers. Her growing fame, fed by dozens of online make-up tutorials and events at shopping malls, has prompted trips to Myanmar’s second largest city, Mandalay, and she plans to visit Kuala Lumpur, the capital of neighbouring Malaysia. But acquiring professional expertise proved too expensive, so Win Lae Phyu Sin came up with the idea of six-hour sessions, aimed at regular “girls like me”, that cost less than $25.